Bottom line: Apple might be one of the largest companies in the world thanks to its iPhones, MacBooks, and iPads, but there’s one burgeoning market where it’s struggling to make an impact: smart speakers. A new report from Canalys predicts that the devices' install base will reach 100 million by the end of 2018, with Apple’s HomePod making up only 4 percent of this figure. 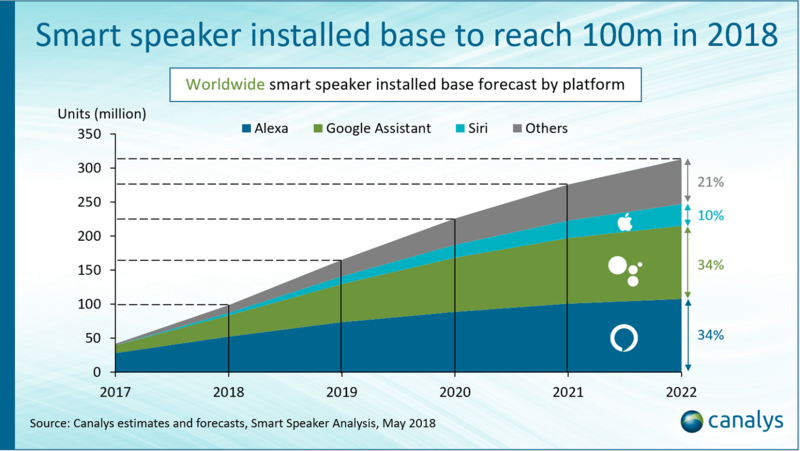 Assuming the report is correct, it means the number of smart speaker installs will have more than doubled since the end of 2017. By 2020, it’s expected to hit 225 million units. Amazon and Google are predicted to continue their dominance in this sector, with the former’s Echo devices making up over 50 percent of smart speaker installs in 2018. Google’s Home lineup, meanwhile, takes 30 percent of the market share, while Apple lags in third place with 4 percent. And while Amazon and Google will reach parity (34 percent) by 2022, partly due to an influx of new devices from other firms, Apple is said to up its share to 10 percent in four years’ time. Right now, the US is the largest market for smart speakers, with 73 percent of all units being sold in the country. The UK is second with 10 percent, followed by Germany with 8 percent. China only has 3 percent, but that’s expected to rise to 10 percent by the end of the year. 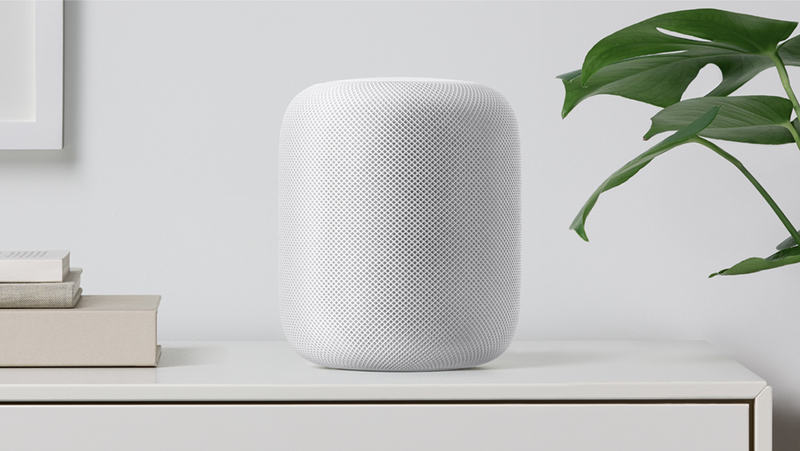 It’s estimated that Apple shipped just 600,000 HomePods in Q1. One of the biggest problems people have with the speaker is its $349 price tag—much more expensive than rivals—but there are rumors that a smaller, cheaper version is in the works.